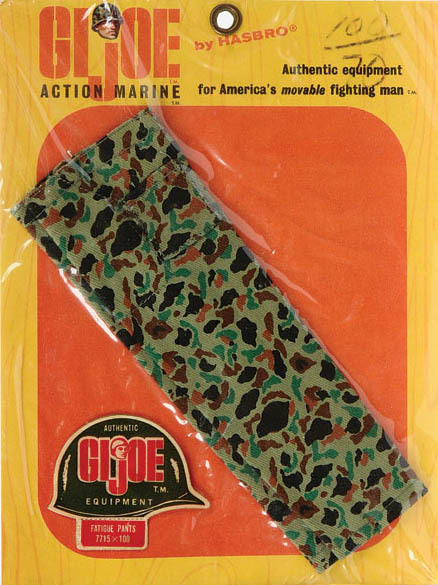 Above left, a Marine with (TM) Hong Kong no-pocket fatigues from an early box. 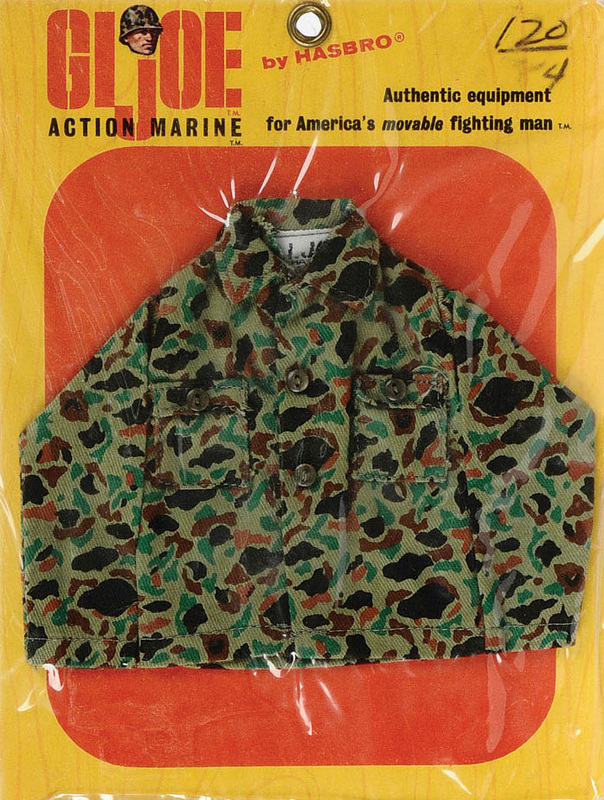 Above right, a black soldier modeling (TM) Hong Kong fatigues with pockets from the 1964 carded set shown below. 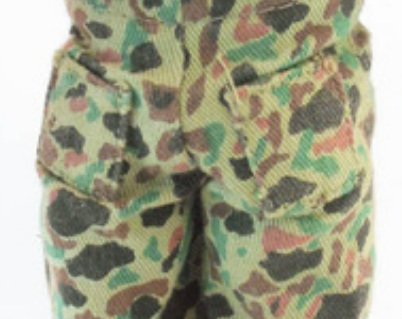 The stitched pocket detail on the front of basics fatigues, left, and the patch back pockets, above. 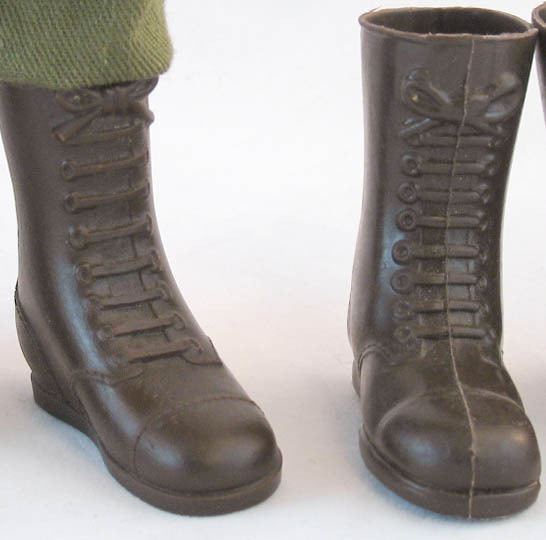 Images of fatigue cards (7714 & 7715) above and the Basics card (7722) below copyright and courtesy of Vectis Auctions Ltd.
Below left, a brownish set of fatigues tagged (R) Hong Kong, and below right, a (R) Japan set from a boxed Talking Marine. 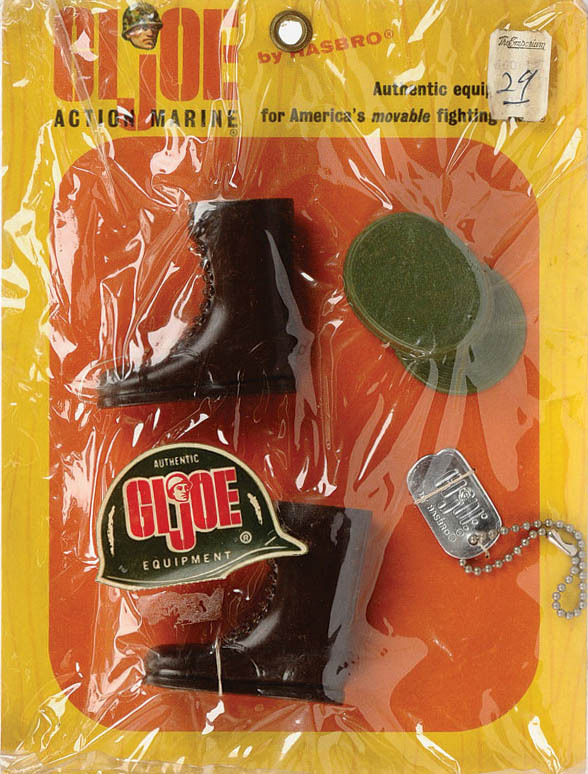 The caps, boots and dog tags found on the basics cards are slightly different than those found elsewhere. 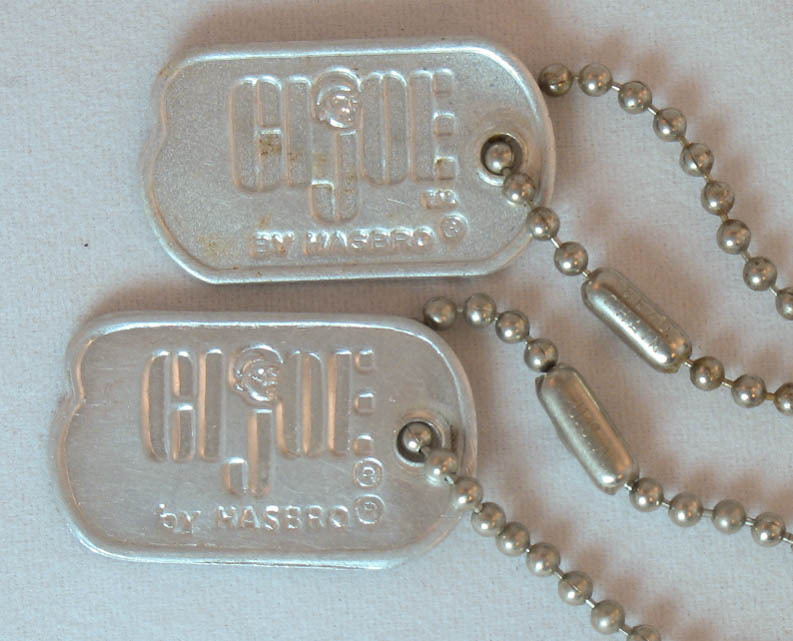 The bulk of dog tags (above) are marked GI Joe (tm) by Hasbro (R) , while those from the Basics card are marked GI Joe (R) by Hasbro (R). 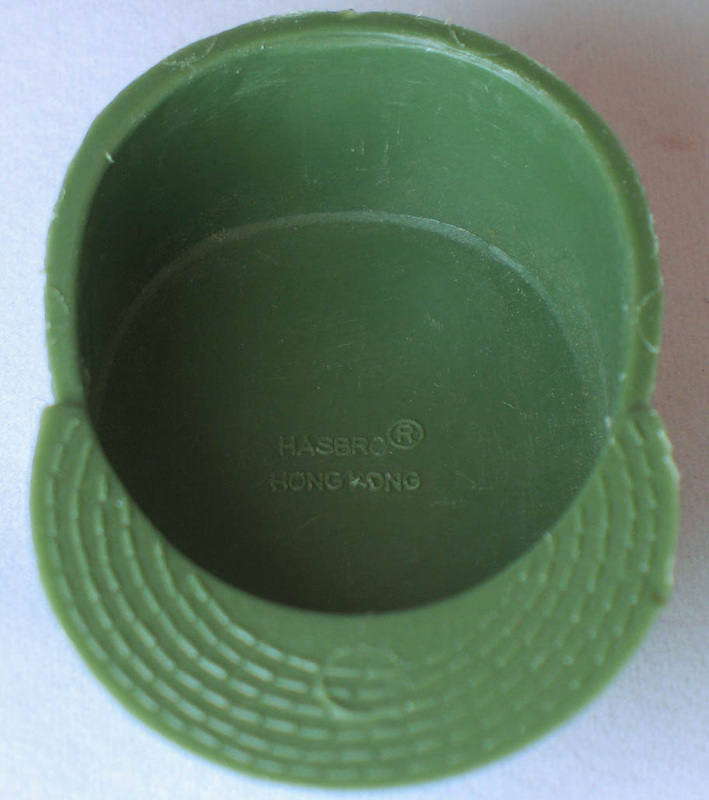 Images of the basics cap, which is marked Hasbro Hong Kong instead of Hasbro USA is below left. 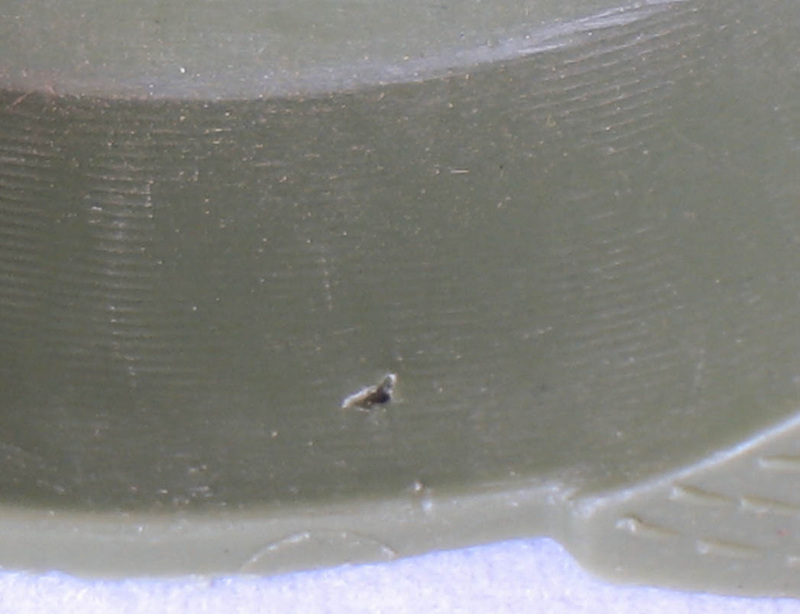 Below right, note the pin hole in the cap's side where it was sewn to the card. Below that. color variations. The Basics card hat in in the middle.